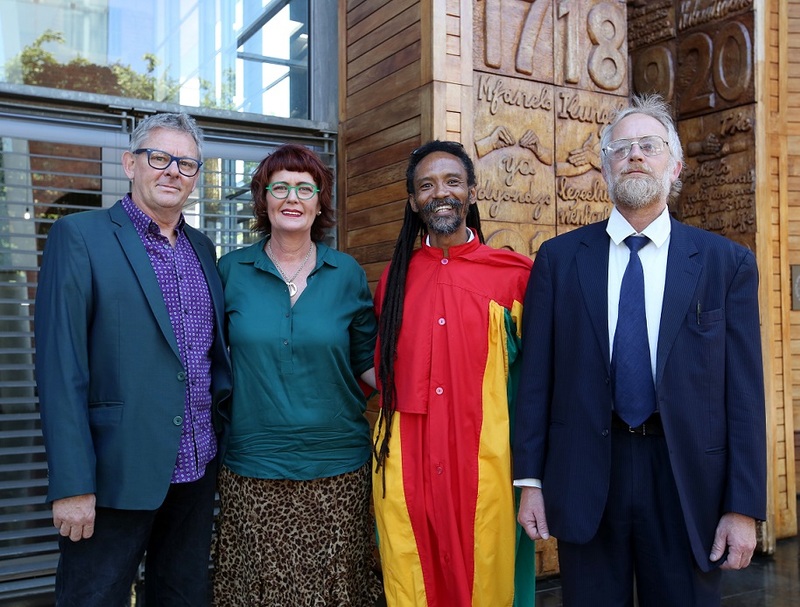 Een sensationale doorbraak in Johannesburg vanochtend: het Hooggerechtshof van Zuid Afrika oordeelt dat het verbod op consumptie, bezit en teelt van cannabis in de eigen woning strijdig is met de grondwet van 1996. De rechters gaven de overheid twee jaar om de wetten te veranderen, maar vanaf vandaag is gebruik, bezit en thuisteelt van cannabis in de eigen woning niet langer strafbaar in Zuid Afrika. Court breaks out into applause and interrupts reading of judgment. Section 4b of drugs act is unconstitutional and invalid to extent it prohibits possession of dagga by adult in private for personal consumption in private. Ban on Private possession, consumption and private cultivation of dagga at home is ruled unconstitutional. So you can smoke at home and grow your own weed. And right to privacy not confirmed to home. People screaming in joy in con court. A man screams “Babylon” in court. There is so much applause and the court is being very patient with all the interruptions and noise and cheers. So impressed with Judge Zondo – he has not once told the screaming, clapping and loud gallery of dagga users to keep quiet in court. Garreth Prince, you defeated Goliath screams a man repeatedly in Concourt. Never seen such happy lawyers and gallery. Its more joyful than Christmas here.